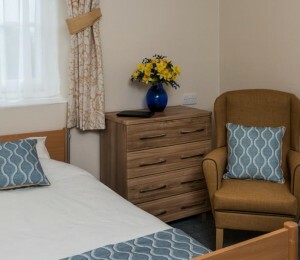 Angusfield House Care Home provides nursing, dementia, and palliative care and is located in Aberdeen's West End, close to shops and public transport. Residents are less than two miles from the city centre and just half a mile from Hazelhead Park.This attractive building has been adapted as a nursing home and has a purpose-built extension that provides nursing and social care. Accommodation at Angusfield House is provided in single occupancy rooms, some of which are spacious enough for sharing. Angusfield House features TV lounges and a quiet sitting room for relaxation and separate dining rooms, where residents can socialise at meal times are also available. Traditional home cooking using fresh produce is served with residents being able to select from the choices available daily. Special diets can be catered for.A good range of activities are offered for residents. The home can arrange for chiropody and dental services if required. Regular visits are made to the home by an experienced hair stylist. With 40 bedrooms offering residential, nursing and dementia care, we think carefully about the type of room each resident needs. The majority of our rooms are en-suite and there are bath and shower rooms on each floor for residents to use with or without assistance.